Tarte Make Believe In Yourself Magic Wands Brush Set | Top Beauty Blog in the Philippines covering Makeup Reviews, Swatches, Skincare and More! 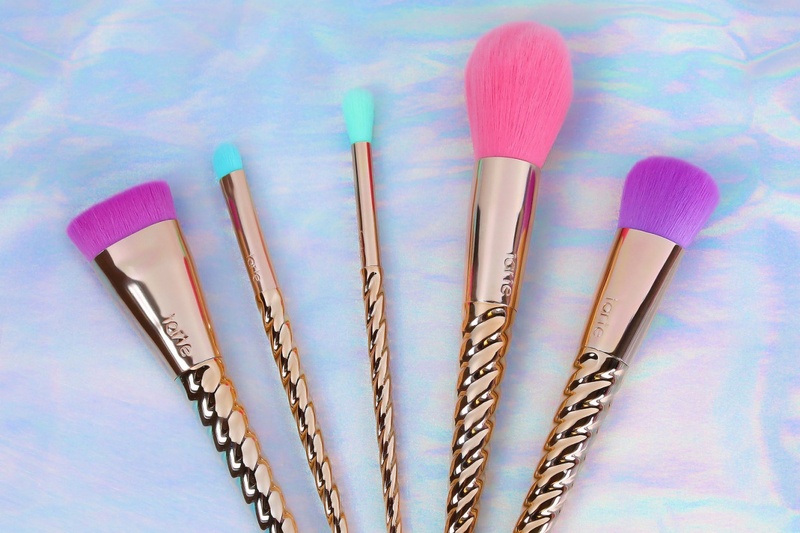 This ultra-luxe, full-size brush collection is inspired by unicorn kisses and fantasy dreams. 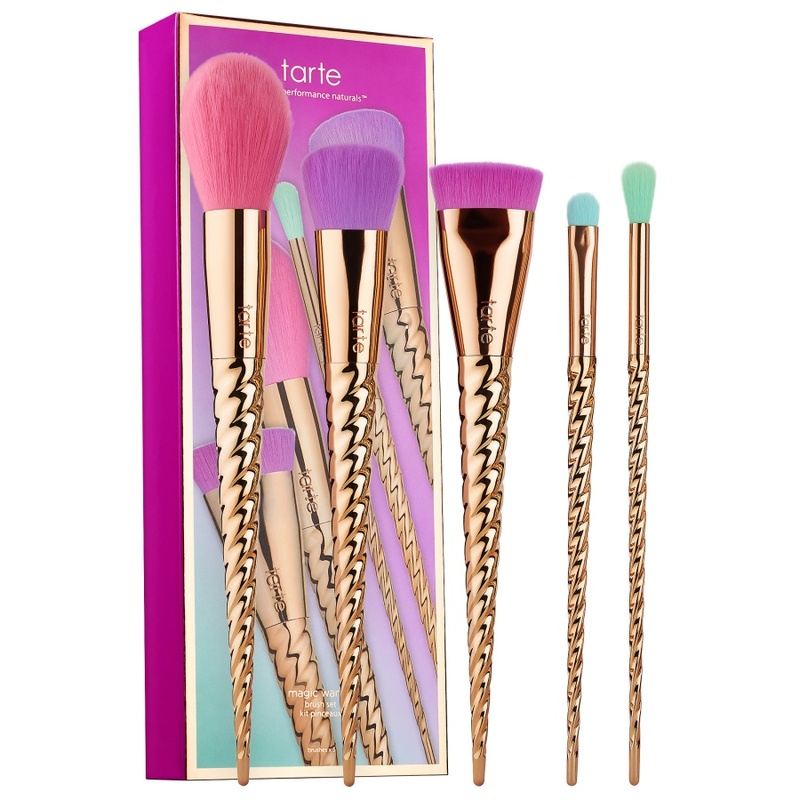 With an array of contour, powder, eyeshadow, and foundation brushes, each gorgeous brush has a gold, unicorn-inspired handle and plush pastel, cruelty-free bristles to bring a touch of magic in your morning routine. This set features the magenta contour brush, a dense, flat bristles to create a perfectly controlled contour, strobe, or highlight. Try using it with the spellbound, glow rainbow highlighter for a prismatic rainbow glow. The pink powder brush applies just the right amount of foundation or finishing powder for an airbrushed look. The green blending eyeshadow brush is a fluffy shadow brush that defines the crease while blending out harsh lines, and the blue shading eyeshadow brush packs on base shadows and softens color around the crease. Pick up and apply cream or liquid foundations and primers with the dense, fluffy bristles of the purple liquid foundation brush. this brush set seems amazing. Wow in love with this set!! Amazing, so colourful and cute! Really beautiful brushes. I love them! con i pennelli non ci capisco nulla! So colorful and pretty. These brushes would definitely make me extra happy to put on my make-up.